This hanging light structure stands out against the clean lines and majestic structure of the Citroën building. 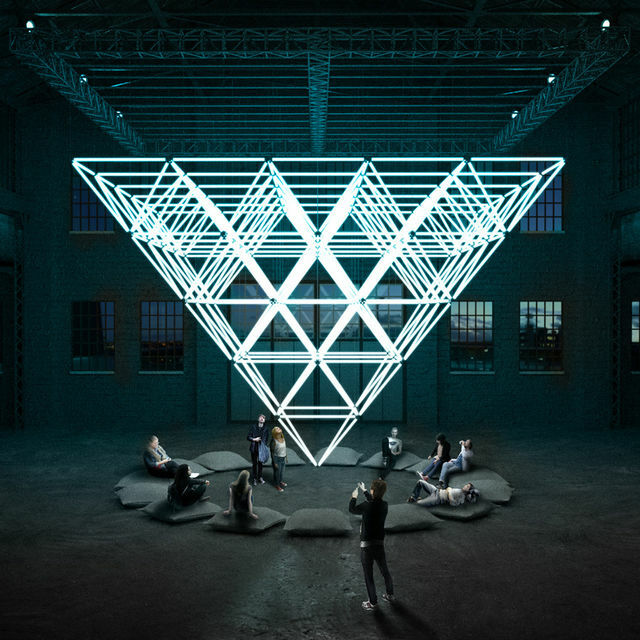 It floats above the public and generates light patterns and complex shapes that are tailored to the electronic music of Boris Divider. Christopher Bauder’s light art work is called Stalactite. This audio-visual statement provides a glittering experience of pure focus in this crazy 21st century world of ours. It invites us to rid ourselves of the things that weigh us down, to eliminate trivial stress and to live in the moment. Slow down and glisten as one of the endless droplets that collect below this glittering stalactite.